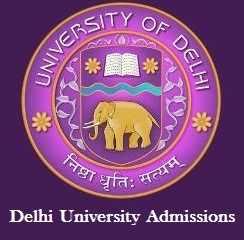 New Delhi, July 7 : Delhi University (DU) colleges have released their third cut-off list, making little to no change in the popular courses and closing down admissions for many. In the cut-off released on late Thursday evening, Shri Ram College of Commerce (SRCC) closed admission for its two courses (B.Com Honors and Economics Honors). Lady Shri Ram (LSR) College of South Campus re-opened the admissions for its Economics (Honors) course at 97.5 per cent. It had announced admission closed for this course in second cut-off. It kept the cut-off for psychology course high at 98 per cent, bringing it down by 0.25 per cent from previous cut-off list. Also, the high cut-off for its Journalism and Political Science course, at 97.5 and 97.25, was down by 0.25 per cent. Miranda House has closed admission for Economics (Honors). Hindu College also decided not to issue a third cut-off for B.Com (Honors), while keeping a same cut-off for Economics (Honors) at 97.25 per cent. Taking into account all three lists, Shri Guru Teg Bahadur Khalsa (SGTB) Khalsa College brought the steepest reduction in its cut-off for B. Sc (Electronics) course. Pegged at 99.66 per cent in the first list, it was brought down to 93.66 per cent, third time around. Students can seek admission according to the cut-off in respective colleges from Friday, till Monday.